Groundhog manufacture a leading range of static and mobile welfare and storage units to the UK and worldwide markets. 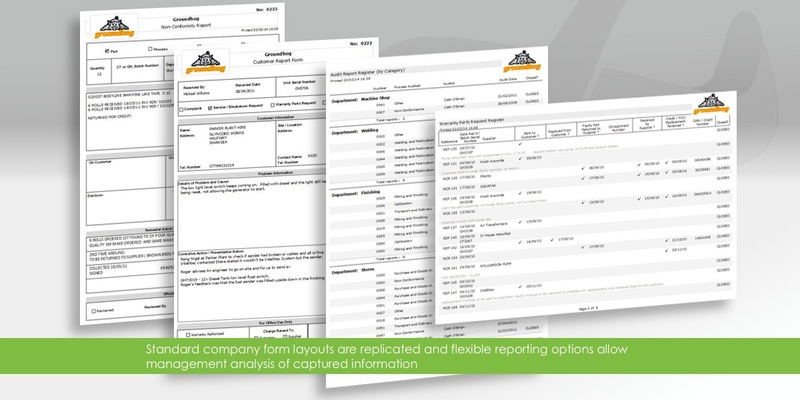 Director Paul Ratcliffe had a requirement for a comprehensive system to manage and monitor internal quality records to maintain the high level of customer satisfaction as the company expanded. IT Sorted developed a bespoke database to support the ISO9001 system in place. 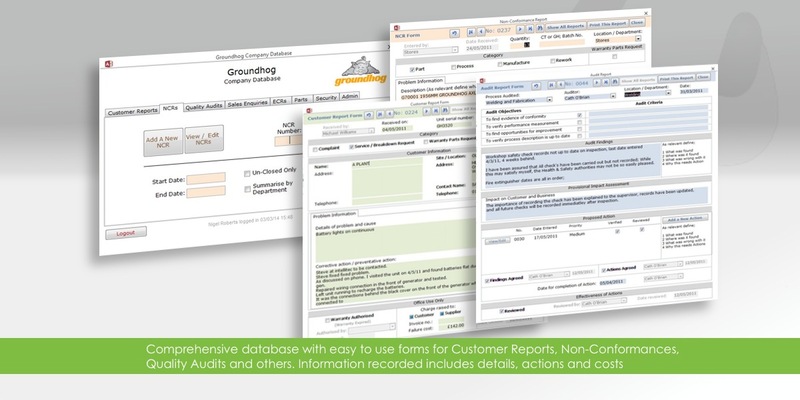 With custom forms and flexible reports, managers now have instant snap-shots of customer issues, sales enquiries and remedial actions required internally.